Its time to announce the second half of our plan for 2015 for Flintloque and Slaughterloo. Following up on the whole new Dwarven Von Rotte Legion at the start of this year we are going to add another whole brand new army of white metal 28mm miniatures to the World of Valon. This time it is the Dogmen of the blackened and burned wasteland that used to be Pudigrochumsberg. Click through to read about it. 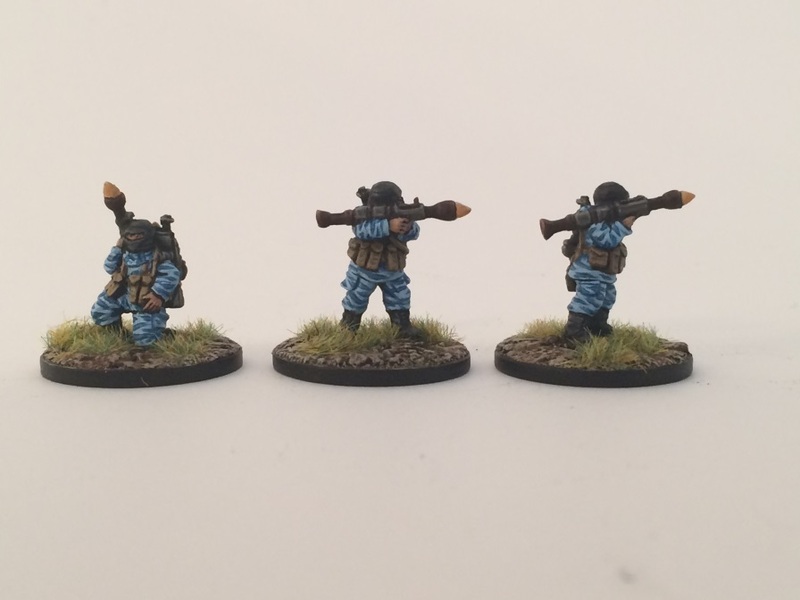 Alternative Armies re-releases fourteen poses of early 1990's Goblin infantry and cavalry back into the world. 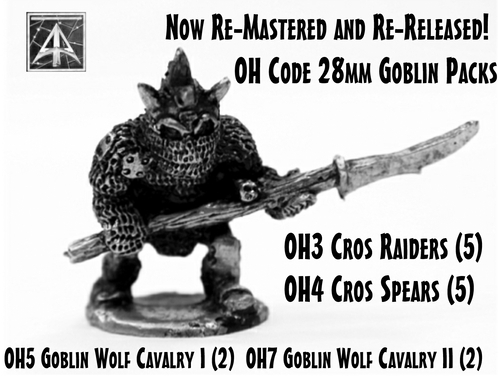 28mm scale white metal re-mastered, OH3 and OH4 Cros Raiders and Spears, OH5,OH7 Goblin Wolf Cavalry. Great value and you can select packs, or single miniatures as well. Great for any fantasy system. Images and information for all of them by clicking through. The threat of the ‘Great Purge’ has gone. The last of the Enemy Unknown fighters have been exterminated by the combined National forces of the Old and New Worlds but not without cost. In a final attempt to rid the worlds of the Humans, large Bio bombs and ECM weapons were deployed causing destruction on a scale never seen before and hopefully never been seen again. The old world was utterly destroyed of life and only the nations whom had explored had any hope of survival. Many saw it as an opportunity to rebuild their nations and live a peaceful existence. They were wrong…Nations grew and typical neighbour quarrels grew into National Wars and more! One such Nation grew. It followed the old ways of old and became the Russian Federation in name. The Russian Federation excel at insurgency warfare. They are slowly but surely growing its territories. Insurgency tactics are prevalent in the Federation. 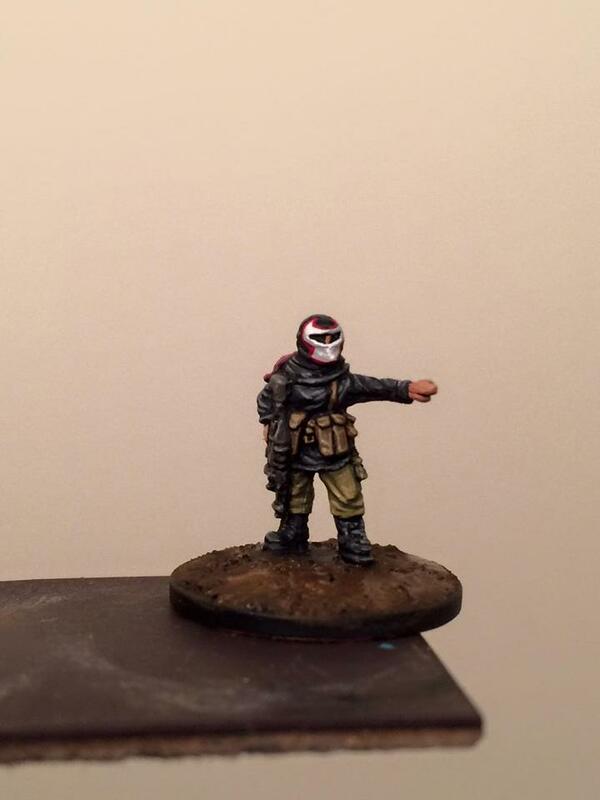 These Insurgents / militiamen are well armed and well trained and have become known as SKOV forces. 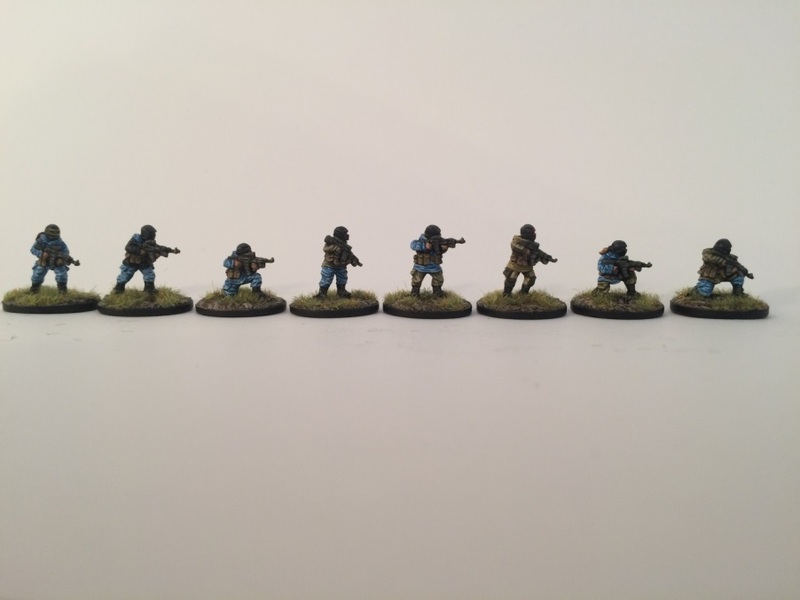 Named after a Soviet campaign on the settlement of Kalingrad the SKOV forces are lightly armoured and armed with the latest generation AK’s, RPGS and RPK LMG’s. For support they count on the Russian Federation ‘Guard’ Forces whom can provide support through APC’s, MBTS and VTOLS from the Armoured Corps of the Federation. And finally a Platoon Pack! 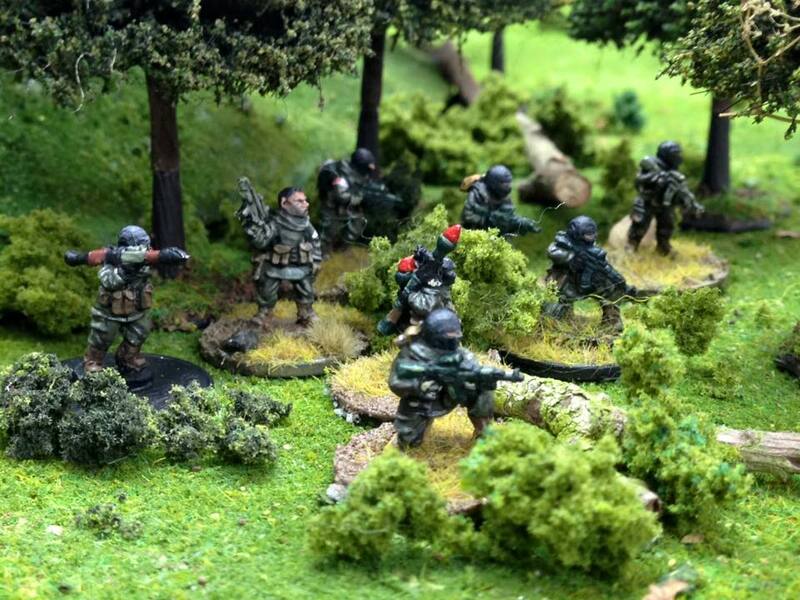 The platoon pack contains 34 troops, enough for 6 fire teams, HMG team and two commanders. These will be quickly followed by heavier weapons, tank riders and finally the Guards Troops. The government forces ‘Guards’ are more conventional forces with heavier armour and exo assisted suits. 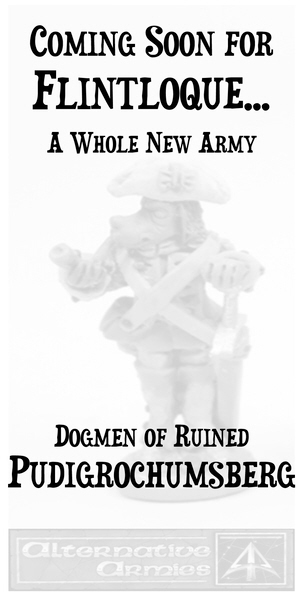 Reduced in price by twenty percent from now on, units, singles and whole Slaughterloo divisions all now with resin 28mm scale Rhinos for riding and for limber beasts for our Ogres. Continuing the plan to replace the larger mounts in the Flintloque range with resin versions and making them cheaper.